Inspired by a transatlantic journey to New York City in the 1920s, as heritage favorites are reimagined, Tommy Hilfiger F/W 2016 Eyewear Collection has a fresh, optimistic twist that’s sophisticated, relaxed and refined. The rounded silhouette is complemented by a double metal rim and unique end tips. 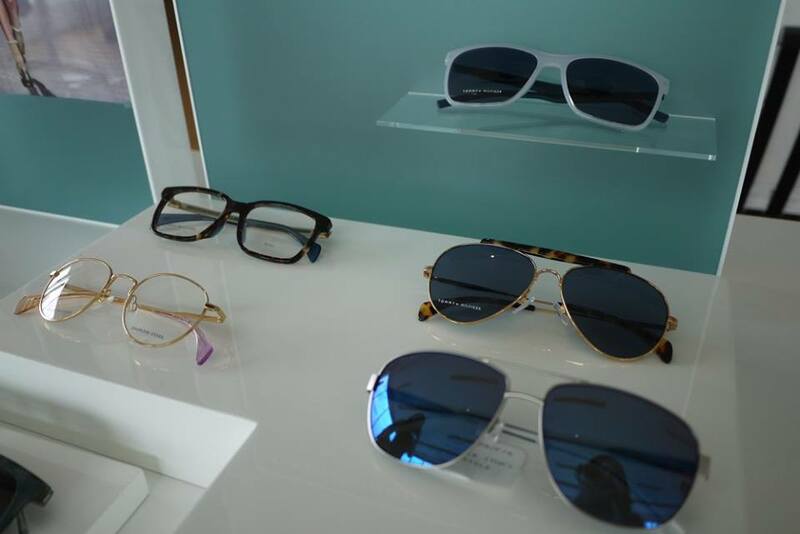 The sunglass color palette includes black, cream, blue and ruthenium, and lenses are shaded in soft tones of brown-pink, gray or blue. For optical frames, colors range from clear and pastel to navy and black. Classic inspirations are given a modern execution in these rounded acetate frames. The palette includes gray Havana/dark gray shaded lenses, yellow Havana/brown grey shaded lenses, red blue/matte blue lenses, pink Havana/matte pink lenses. For the optical frames the color range is the same, while the silhouette is slightly thinner. This men’s sunglass style is characterized by a Prince of Wales check in tones of blue and olive green. On the inside of the frame, a camouflage effect plays with transparent nuances of the same pattern. Classic Havana, plain burgundy and black complete the palette of colors. These men’s sunglasses and optical frames feature an easy-to wear shape with an acetate front and metal temples. Boasting a retro aesthetic, the styles feature a stripe concept on the temple interior and exterior. The color palette includes various hues of Havana paired with dark matte lenses. 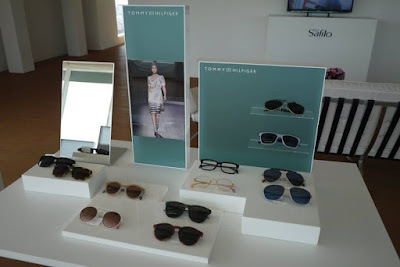 Tommy Hilfiger Eyewear Collection is produced and distributed by Safilo Group.